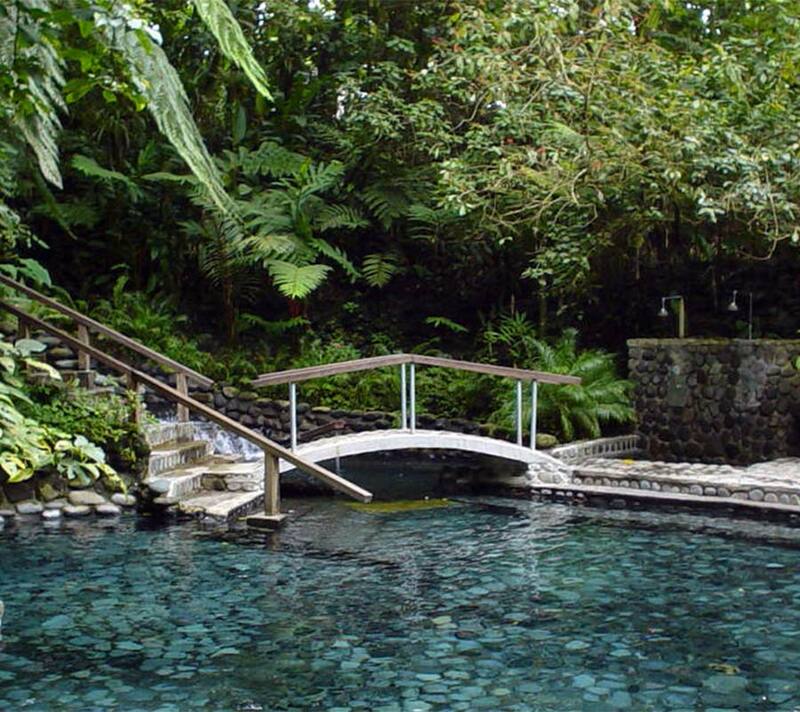 Recover from your day’s adventures in the Arenal area by relaxing in the amazing EcoTermales hot springs. 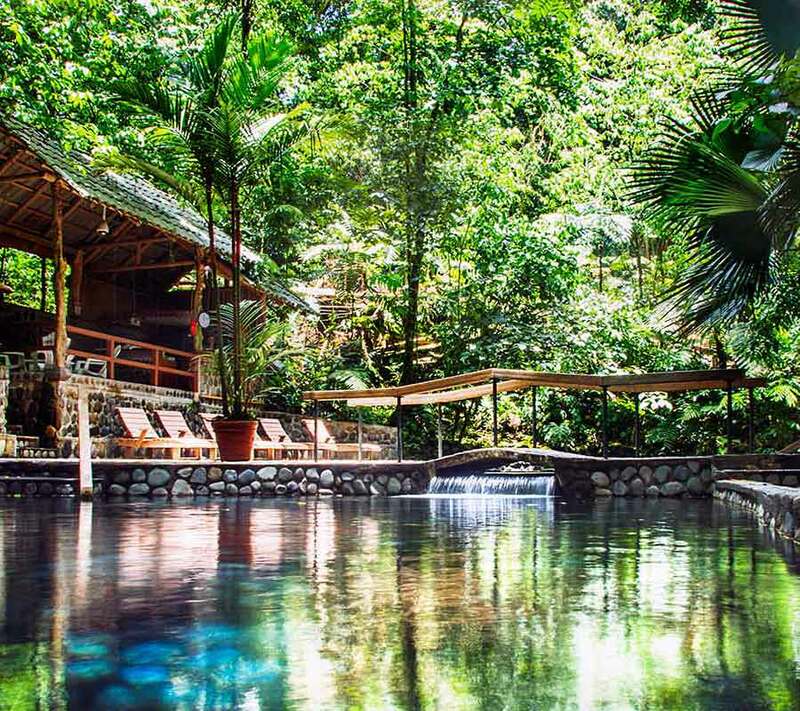 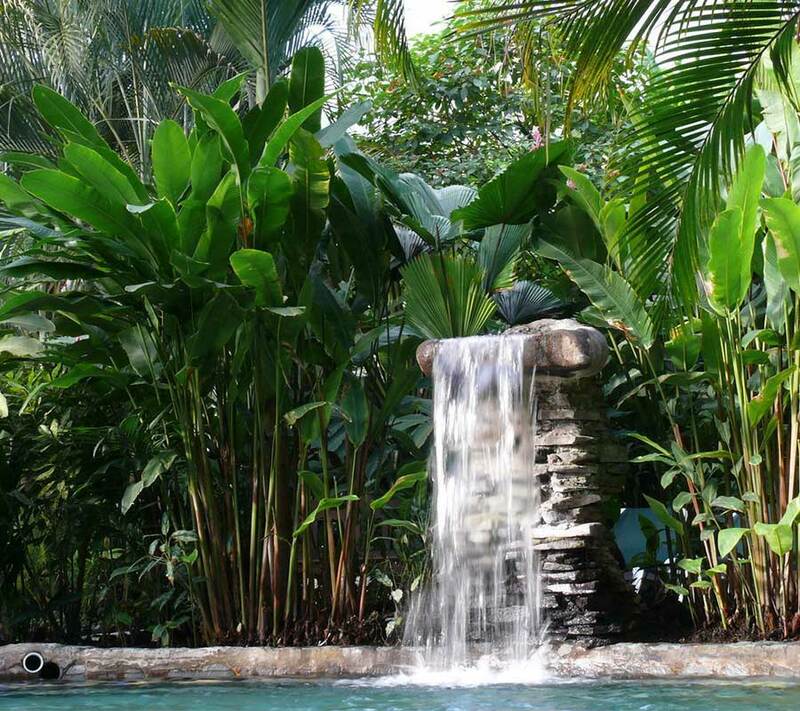 You will love this family-owned, romantic hot springs hidden in the rainforest by the base of the Arenal Volcano. 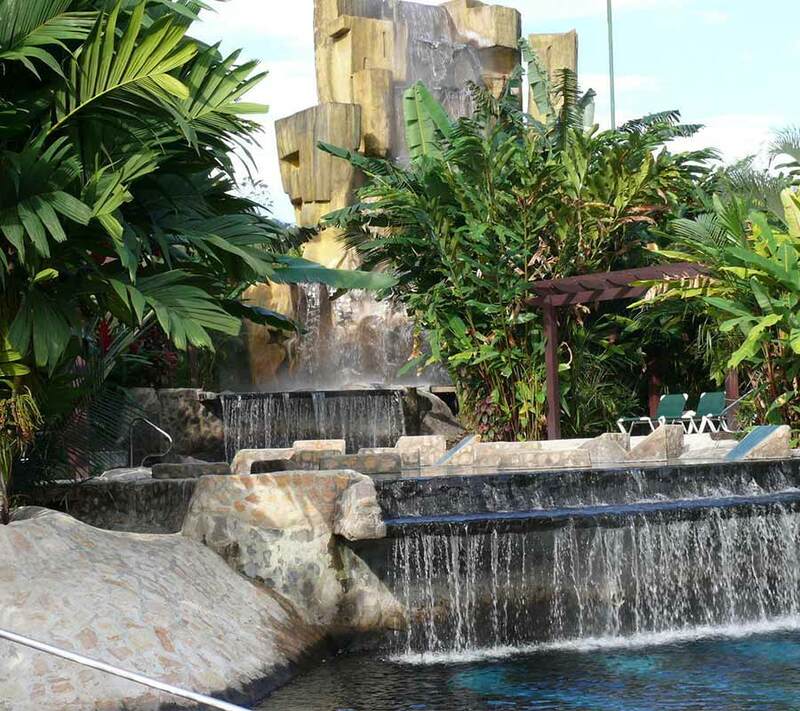 The two main pools are tastefully built and they limit the quantity of people who can enter their facilities, so the location always feels exclusive. 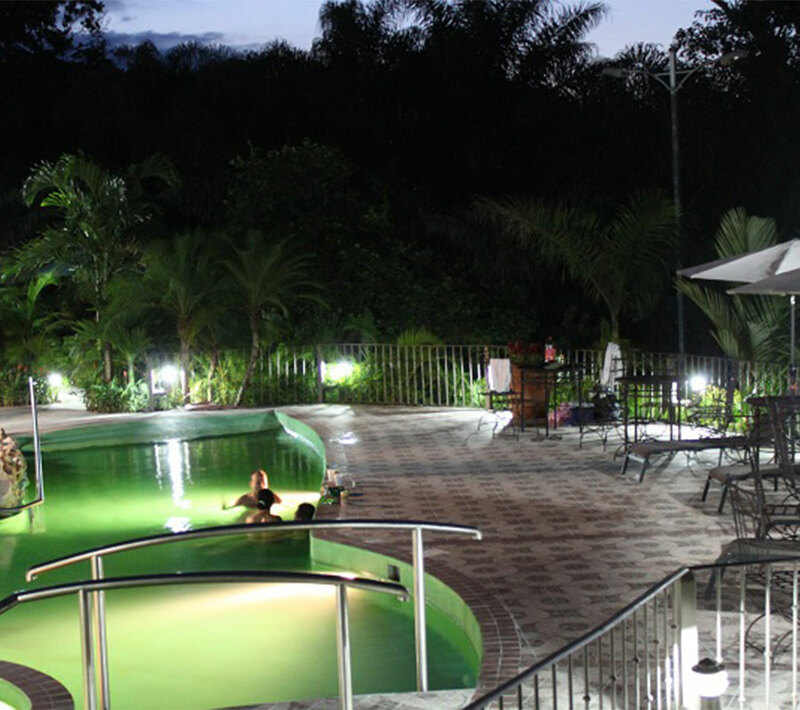 There are nice changing rooms, a well-stocked bar and an excellent restaurant on-site. 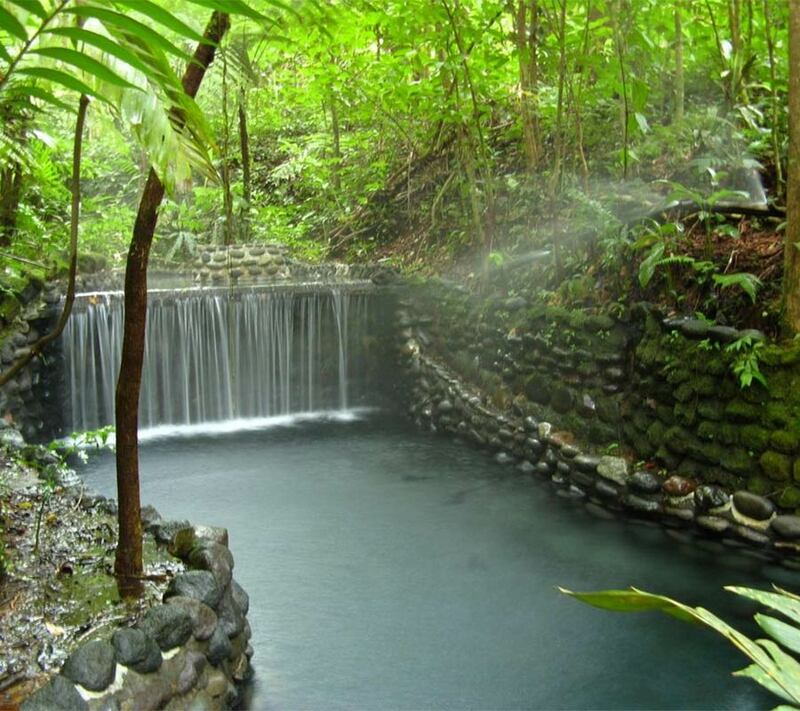 EcoTermales also does its best to be ecologically-friendly. 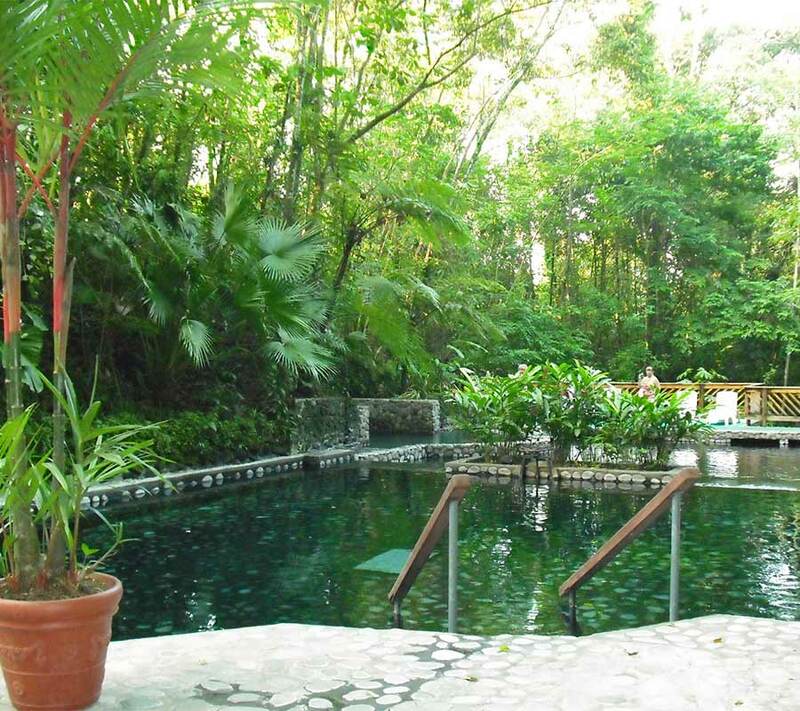 Tours are available without lunch or dinner. 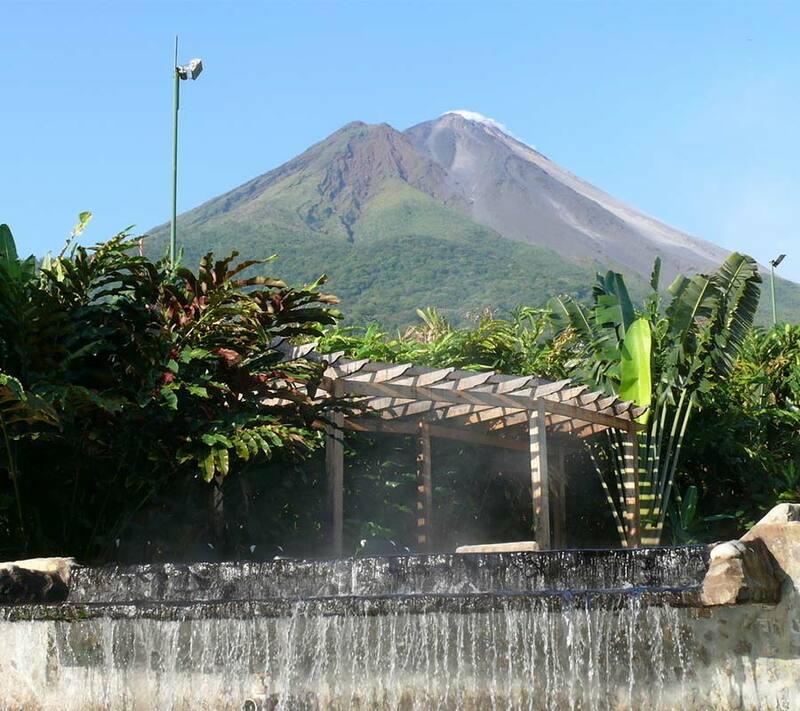 Hours: EcoTermales operates two schedules for visitors: 10:00 a.m. to 4:00 p.m. and 5:00 p.m. to 10:00 p.m. 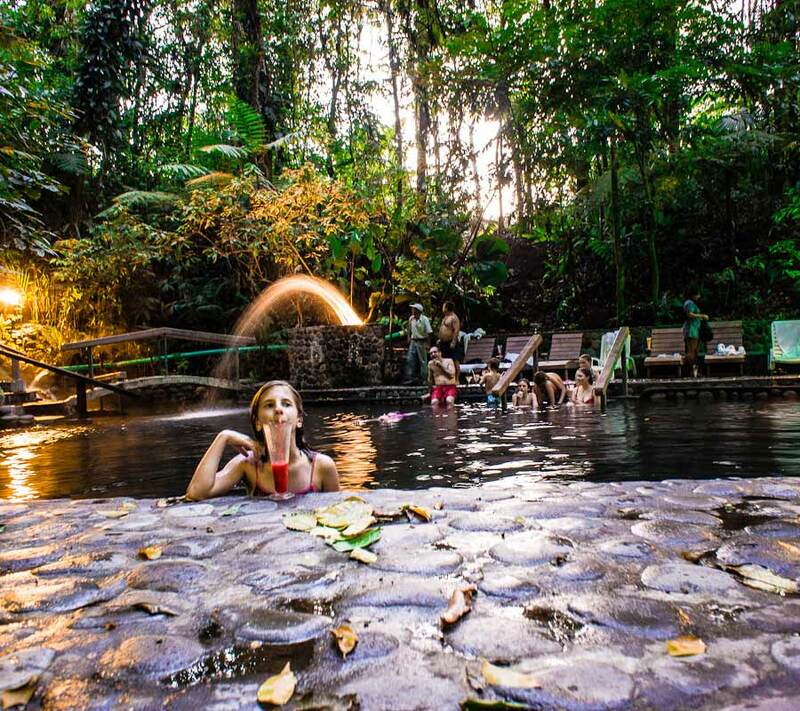 Enjoy over 20 different hot springs pools, waterfalls, swim-up bars, locker rooms, a spa area, restaurants and a lively atmosphere at Baldi Hot Springs by La Fortuna. 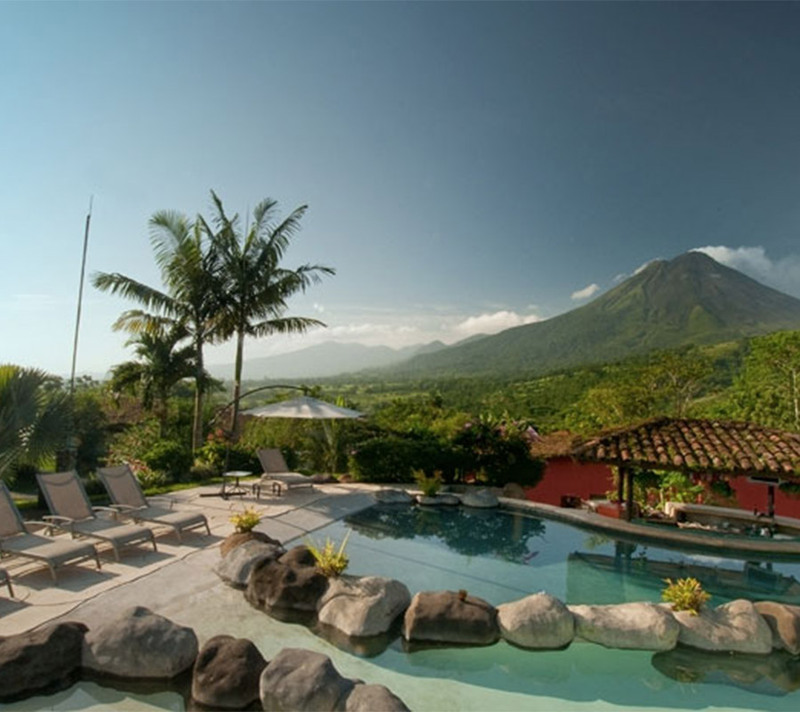 You’ll love relaxing in the hot pools looking up at the Arenal Volcano. 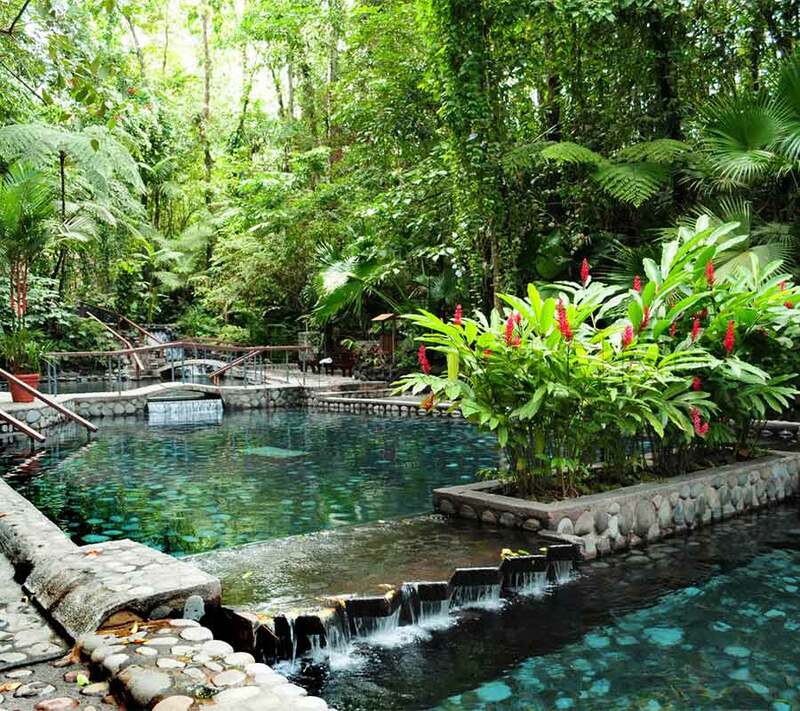 There is even a complete children’s section where families have a great time soaking in the hot springs pools and keeping an eye on their kids as they enjoy fun activities in the Baldi Kids Hot Springs Park. 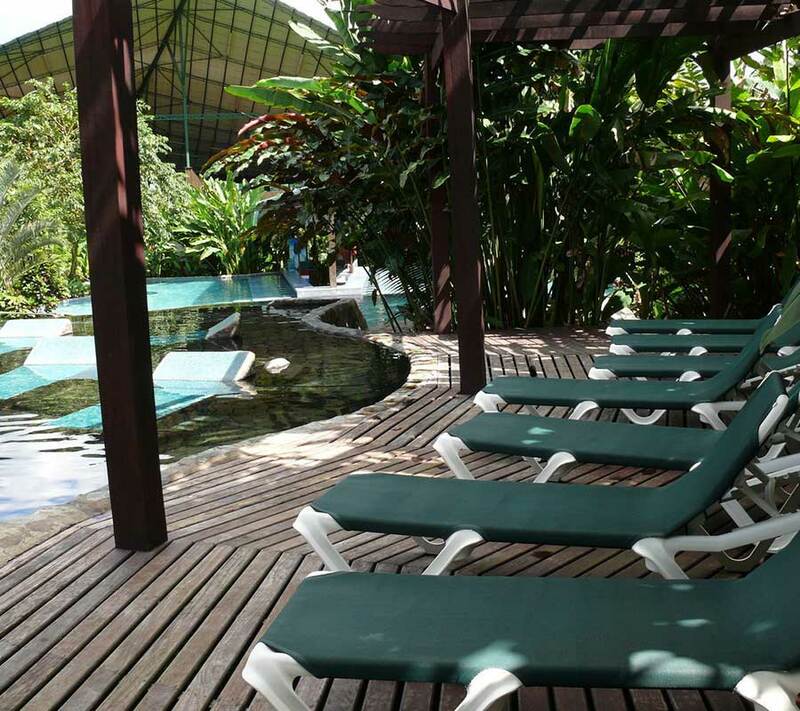 And when you are ready, enjoy a delicious lunch or dinner in the restaurant. 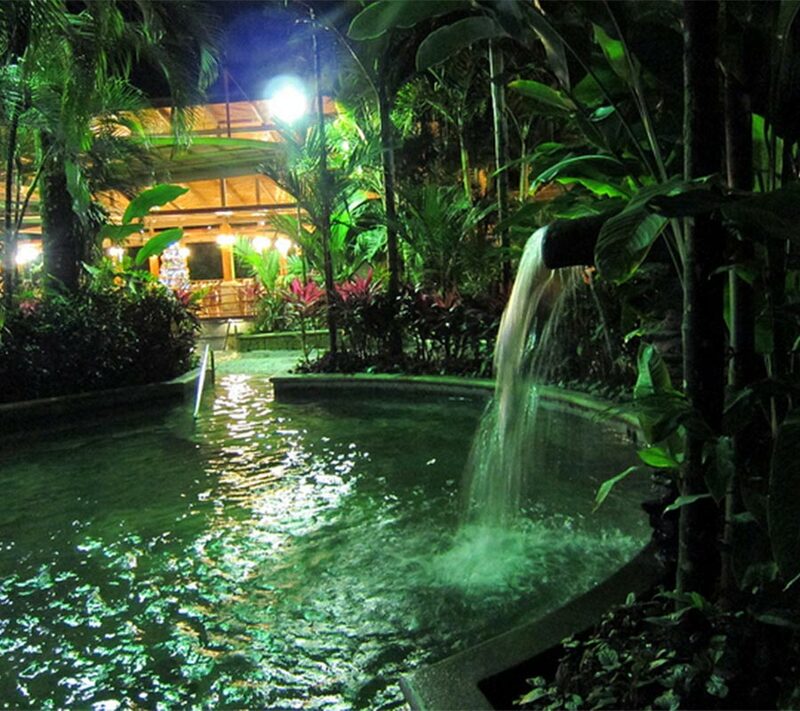 Paradise Hot Springs is a beautiful resort near the Arenal Volcano, featuring pools surrounded by lovely gardens and waterfalls that lend a natural and intimate atmosphere. 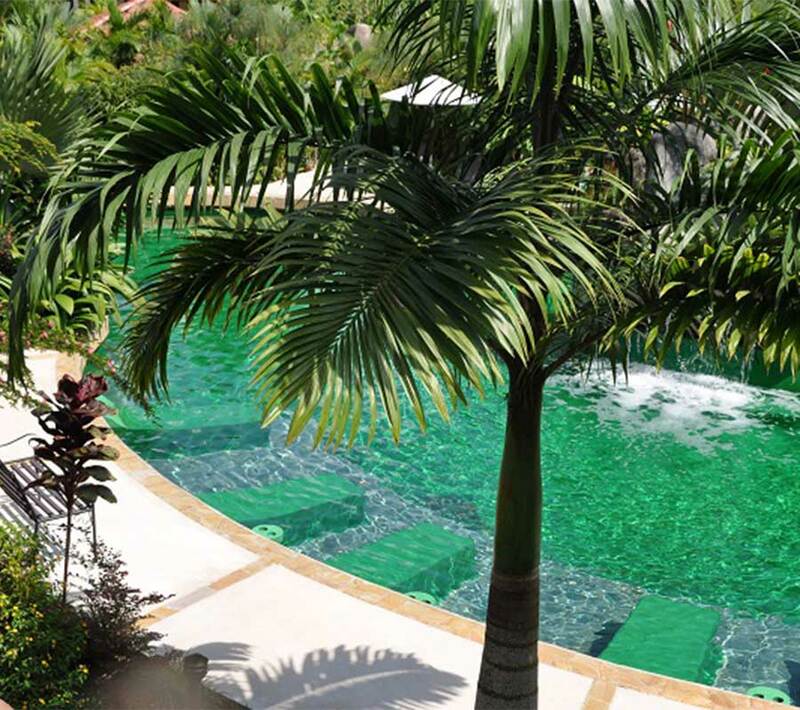 There are a number of different pools to choose from, with a variety of temperatures, offering the ultimate relaxation experience. 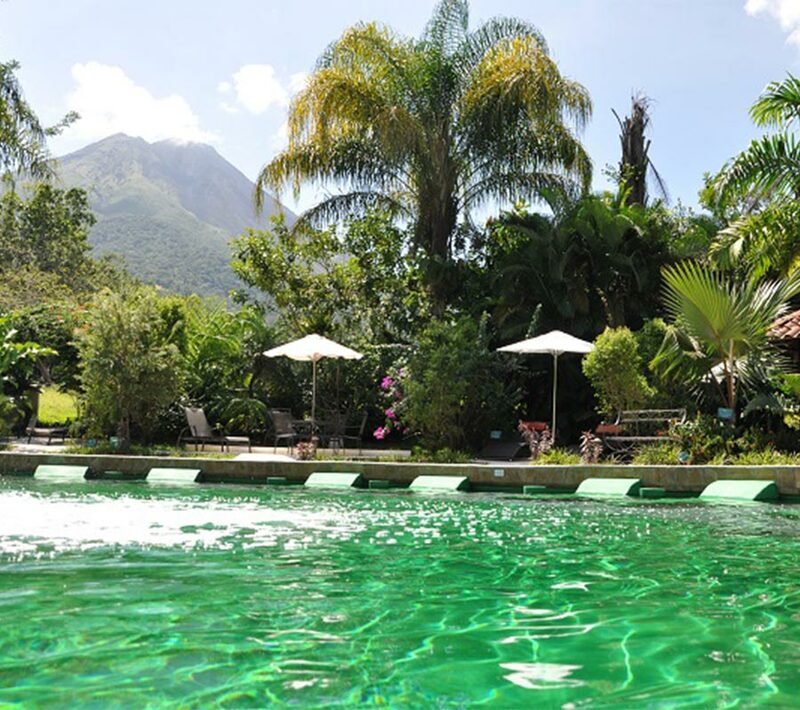 Other facilities on the property include well-equipped changing facilities, free lockers, a swim-up bar, and an excellent restaurant. 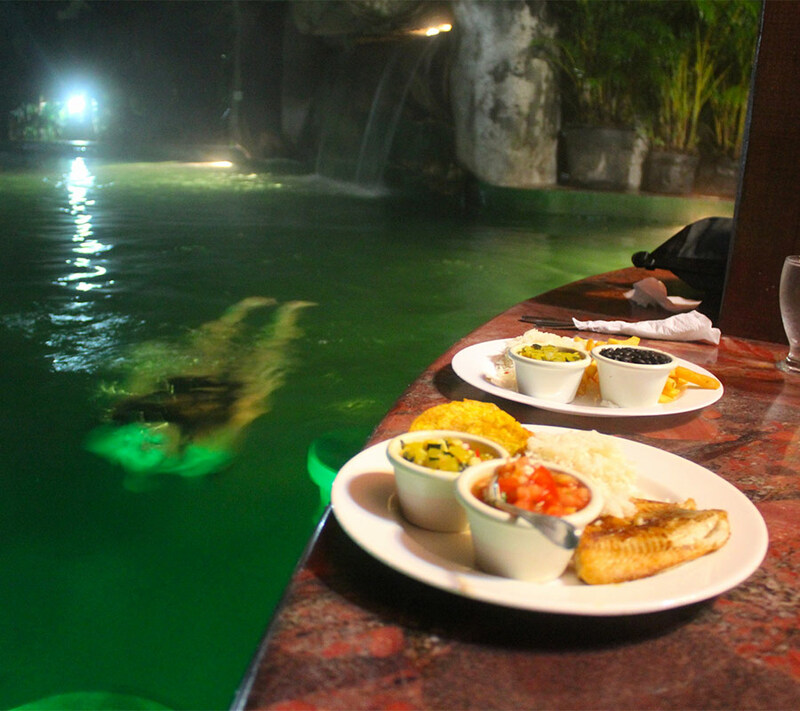 When you are done soaking in the pools, change your clothes and prepare for a delicious meal in the restaurant to top off your experience.